Support the Lan Su Chinese Garden and attend an exclusive party in one of Portland’s most prestigious historic homes! Anne & Richard De Wolf open their doors for a “Great Gatsby-esque” party in their restored 1904 historic home on Saturday, April 27, 2019. Listed on the National Register of Historic Places as the Isam White House, the home is a stunning example of a Colonial Revival in Portland’s Alphabet Historic District. Tickets are $100 per person ($50 tax-deductible) and all proceeds benefit Lan Su Chinese Garden. Live jazz by Mia Nicholson, couture cocktails and select hors d’oeuvres from clarklewis. Our Urban/Nature Fusion house will be featured on this tour of midcentury modern style. The project included a new roofline, large windows and doors facing the city view and the back deck. The floor plan is mostly original, with walls moved only to create the master bathroom and reconfigure the basement’s laundry room and bathroom. We look forward to inspiring you with a series of home design workshops this year! 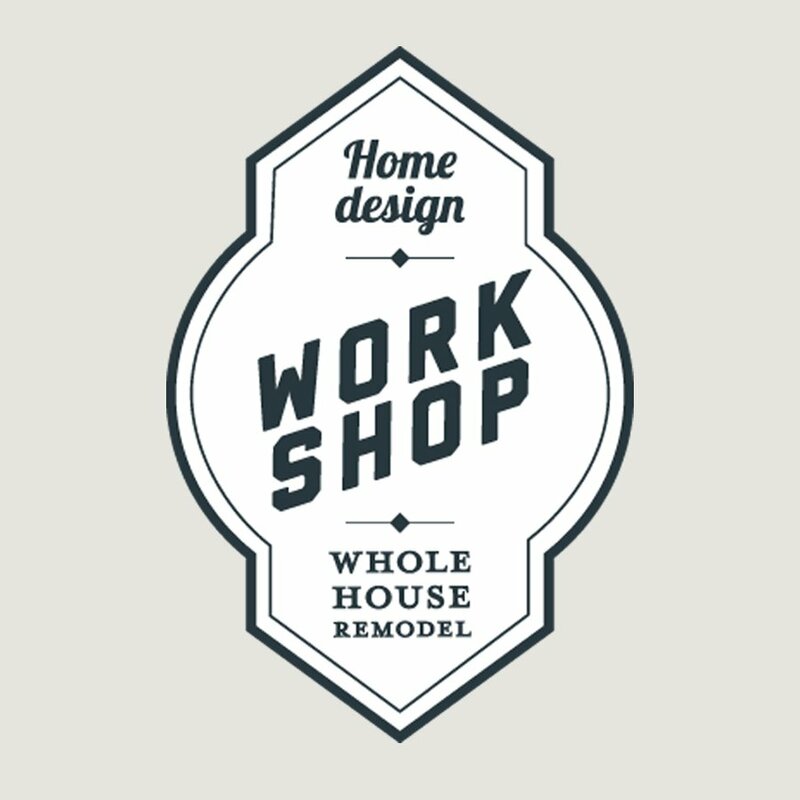 We’ll start with a Whole House Remodel Workshop in April, then we’ll focus on designing your home around your unique family needs, from pets, to children, to aging parents, with our Inspired by Family Workshop in June and we’ll wrap up the year with a workshop on ADU’s and Air BnB’s at the DeWolf’s beautifully remodeled historic mansion in which they’ve installed three air bn’b units with a unique and easy design for guests. This workshop will be held in October. Stay tuned for more details! Approaching a project holistically is the most fun and least stressful way to what is, by nature, a challenging undertaking. In this workshop we’ll show you how to put your whole house remodel plan into action with detailed information on our 5 phases to success: consulting, developing, documenting, building and sustaining. We’ll show you how to identify your goals, develop an aesthetic concept and prepare for budget, feasibility and code considerations as they relate to the structure, HVAC, electrical and plumbing of your house. 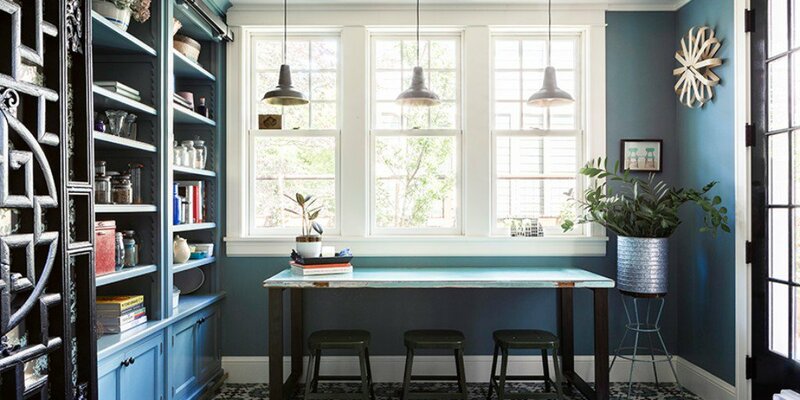 We break down the complex process of home remodeling in a fun and inspiring way so you can get motivated to start your project! With a series of remodeling projects over ten years, ARCIFORM owner and principal designer Anne De Wolf worked with homeowner Kerri Hoyt-Pack to create her unique, personalized vision of her home. Come see this inspiring design and learn how we work closely with our clients, drawing from the stories of their homes to create spaces as unique as they are. We understand the role of stories in our personal lives, but how does this come into play when remodeling a home? One’s home is deeply personal; it’s where we spend most of our time, engaging with friends and family around the dinner table, sharing holiday traditions and building memories. It’s our refuge from the ups and downs of life that we all inevitably experience. No matter who we are or what our position in life, we all want our homes to be warm, inviting, comforting spaces where we feel at ease and can be ourselves. This sense of comfort and belonging is why the phrase “feeling at home” carries so much weight. Thus, the stories that come into play when remodeling a home – encompassing personality, history, family, friends, interests, and needs — must be considered in the process. A short trip up this ladder leads to a whimsical loft with a view. Intended as a reading area for the family, this magical nook includes a loft overlooking the main stairwell, a custom boat ladder and railing, and most interestingly, a submarine-hatch-like opening to the rooftop deck. 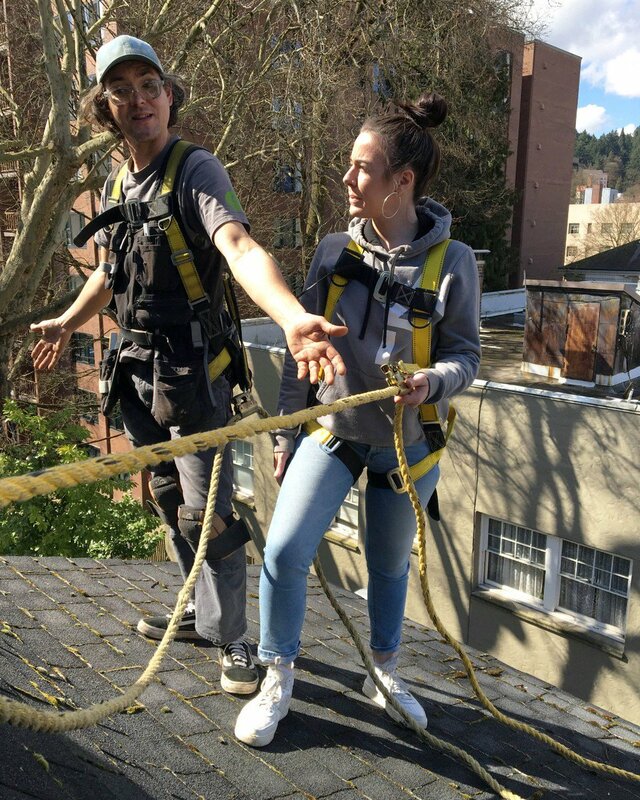 Adventures lie above the stainless steel and glass boat hatch, opening onto a rooftop deck. No longer a scary, gloomy gray, the Barnes Mansion has been beautifully renovated, with the ARCIFORM team handling an extensive remodel of the kitchen, which included new windows and doors designed to match the home’s original elements. The kitchen design was inspired by French bakeries and included a custom-built island with zinc-lined flour bins. Lead carpenter Jamie Whittaker puts finishing touches on the custom island. Making meaning and forging real human connections is part of ARCIFORM’s process when working with clients. At the heart of their business is the belief that these stories and their clients matter, a value that is demonstrated clearly in ARCIFORM’s “Inspired by the Story” video. In their phased remodel of the Hoyt-Pack house, which was built in 1909, ARCIFORM showcased their client’s flair and eclectic style. 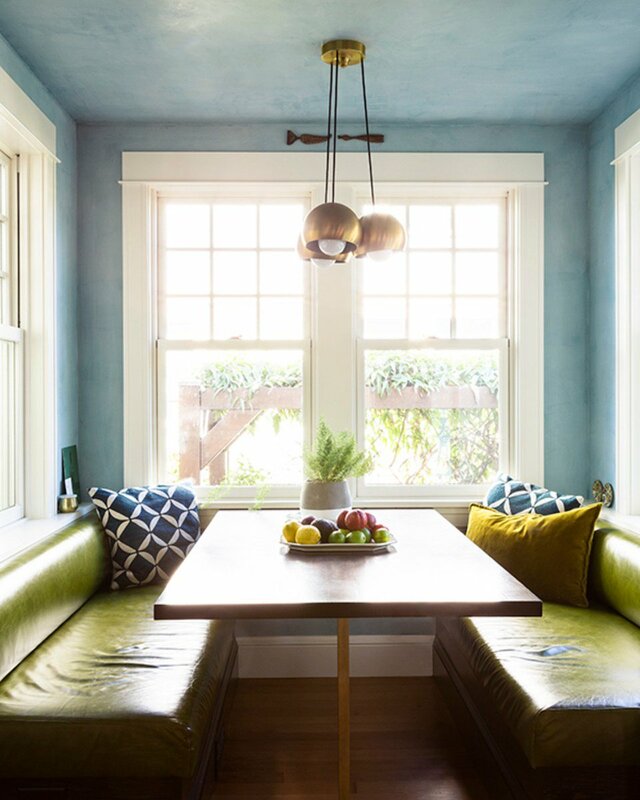 Homeowner Kerri Hoyt-Pack says, “The goal was to really respect and honor the character and history of the house, but be able to take it into the future,” and explains the value of being able to share her ideas in collaboration with principal designer and co-owner, Anne De Wolf. Anne also values this collaborative process and getting to know her clients in a personal way that is well beyond just a normal working relationship. https://www.arciform.com/wp-content/uploads/2019/01/inspired-by-story-1.jpg 500 810 Holly Cullom https://www.arciform.com/wp-content/uploads/2017/10/Arciform_Logo_w-tagline_final_outline.png Holly Cullom2019-01-24 13:17:472019-02-11 15:44:48What does "Inspired by the Story" mean to us?